A set of 100 realistic paper bills that won't break the bank! 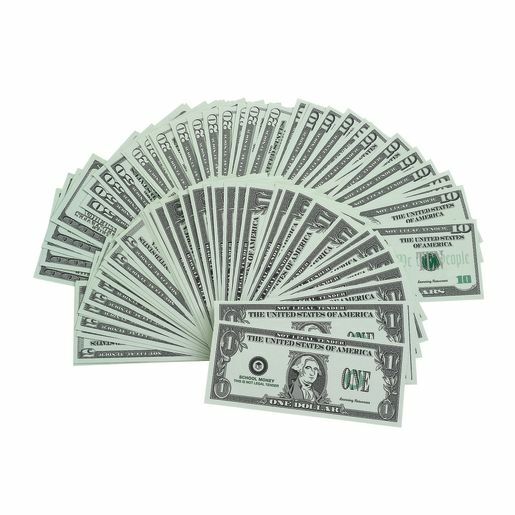 Bills �life size�, actual size 6-1/8�L x 2-5/8"W. Bills are printed on both sides. MAT (P) Count to 20 by ones.